I’ve been putting together a short discussion for my university around the reasons that a given professional might want to go ahead and blog. Why put thoughts out that are incomplete, that still need work? Won’t this impact my standing as a professional? Won’t some people misunderstand and think that I’m simply a sloppy thinker? For the purposes of this discussion lets agree that the PLN (Personal Learning Network) is a description of the network of people in which I learn. It is a description of people online or offline. This simplistic definition may strike some of you as unfair, but without getting the PLN out of the way, this discussion gets even more complicated. is concerned with enabling a wide range of contexts to be coordinated to support the goals of the user. the PLE operates at a personal level in that it coordinates services and information that is related directly to its user and owner. However, the PLE can also be considered global in scope as the range of services it can potentially coordinate is not bounded within any particular organization. The user can connect their PLE with social networks, knowledge bases, work contexts, and learning contexts of any size to which they can obtain access. This from Scott Leslie. This is clearly not ONE technology that allows you to work with others… the middle section of the diagram are about the physical location of the learner (say desktop), and then they extend from there. They include technologies, people, relationships, events, from a ‘personal’ perspective. In Definition 1 we have PLE as a pedagogical change in education from a course based focused to a learner based focus. In Definition 2 we see learning as irrespective of any formal system, it is a PLE that describes the world as it is… with communication streams be they telephone or twitter, as the ecology in which I learn. In this second definition you will see my rebel yell of education referred to in the earlier Disaggregation post. In the first definition we have a system that is ‘created for’ students, that is maintained by a university (and, one would imagine payed for by their fees payed to the institution) where lines of connection are created that the student may then fill. It is a software system that locates the students in a concentrated area that makes it easy for them to find each other, easy for a professor to find their work, and makes it easy to get things started. It is preferable to the VLE in the sense that a student gets to keep working on things from one course to another, it provides that e-portfolio style location for their work, gives them an individual presence inside their learning institution. While i see this as preferable to the coursed based LMS, it still leaves the learning in the hands of the institution. This means that if you leave, even if you take all your content in some exported format, you lose the connections of your learning. Any links in and out of your work get borked, any habits that people have of coming to visit your work go away, your work at creating a sense of place go away. You do not own it. There is a very different power relationship between being given a space which ‘enables contexts’ and ‘allows supports’ for a user and a space that you build and support for yourself. It dodges those institutionally created problems of student mobility, of losing the connections formed in your learning and gives you a professional ‘place’ from which you can start to make long term knowledge network connections that form the higher end of the productive learning/knowing that is possible on the web. The power is disaggregated in the sense that while attending an institution of learning you are still under the dominance of the instructor or the regulations surrounding accreditation, but coming to your learning space is not about that dominance. The power held (and, i should probably add, that you’ve given to that institution in applying for accreditation/learning it’s not (necessarily) a power of tyranny) by the institution only touches some of your work, and it need not impede any work you choose to do. The danger in taking definition two as our definition for PLE is that we lose sight of the subtle, complex dance of person and ecology so eloquently described by Keith Hamon in his response to my post. Maybe more dangerously, we might get taken up as thinking that learning is something that happens to the person, and not as part of a complex rhizome of connections that form the basis of the human experience. Learning (and I don’t mean definitions or background) and the making of connections of knowledge is something that is steeped in complexity. At each point we are structured in the work (written in a book, sung in a song, spoken in a web session) of others that constantly tests our own connections and further complexifies our understanding. This is the pattern of knowledge as i understand it. It is organic, and messy, and subject to subtle manipulations (intended or otherwise) of power. Having a place of ownership within that complexity, whether we call it ‘the personal’ or not, is vital to emancipated thought. We have created an educational system that focuses on the content to be distributed from teacher/institution to a student. We have controlled curriculums and then told students what, where and when to learn. Students have been taught to obey and now we want them to decide. Definition 1 described above does not, in my mind, leave enough room for that decision, for control of learning. It certainly disaggregates the institutional framework of learning (courses) but it does not disaggregate the power of the insitution. Definition 2 is far more personal, the power is centred in the learner. You can have your own blog, your own place to store your files, pictures, conversations and, most importantly, a place to centre connections. We need to remember that the ‘personal’ is about emancipation, not about being alone. Learners need to remember that the connections are still needed, they just need to go out and make them, they will not be provided. The side effect to the power granted, is that simply ‘doing the work’ (read: posting my response to my blog) is not the end of the work. The work needs to be connected to others, learning is still about people. My view is K12 – and there are ease of use and trust factors that I believe need to be there for ALL learners to engage in all aspects of their learning environments (online and face to face). There will always be some who engage in the wide open web – the 20% (and growing slowly). But to empower and engage the 80%, I don’t think it will happen “out there”. Internal, hosted solutions that are designed from the perspective of all we know about learning (http://tinyurl.com/2byhzxo) is what we need to move forward in significant ways, imo. Trusted peer networks (to begin with), “safe” places to share, single ID/password to access all, and high value uses of the tech. In short, I don’t think we have to choose between VLE and PLE – we need them to integrate! I’m suggesting that at the high end (wherever those students may be) one definition of the PLE is very different from the other and if we choose the second definition, then we need to think about connections overtly. I’ve been looking at this from the other end of the spectrum, the workplace. There is a demand for the equivalent of PLE in the workplace (I’m running courses at the U of T on the subject). One way of looking at this is as personal knowledge management (though I’m shifting that term to “network learning”). The concept of PLE is not unique to educators, as work and learning become integrated in a networked society. PKM also breaks down hierarchies, as the usefulness of centralized content repositories becomes rather questionable in a networked business. I don’t know what to call it (VLE, PLE, VPLE, PVLE, or maybe just learning…), but I think addressing the needs of and engaging the “many” only happens when we figure out how to integrate the best of both. The ease of use of an institutional system with the ability to personalize learning, using the tools that work for me. Why can’t we make the system such that I can bring in stuff from outside (i.e. have my own blog, my twitter, my flickr, etc…) to share with my peerw? Or why not allow people to feed their internal work to outside sources (i.e. easy for students to take their learning with them and make it relevant in their worlds)? And as I further reflect, I want to add that I can’t say exactly what that “best of both worlds” looks like. I just know it’s something I feel we have to strive forward, in order to find a way forward. Finding the path that navigates the polarities is the key, it’s where wisdom exerts its voice. If we want ALL learners (whether teachers or students!) to engage and understand their learning and the choices open to them, then we need to advocate for systems that provide opportunities that fit all of their needs (not just academic, but social/emotional as well). We need to acknowledge all for where they are (comfort level, beliefs, experience, fear levels, trust, etc…) and create the safe space for them to move forward on their learning journey. Will a system do all of that? Of course not – but it’s a foundational part of the puzzle. We can provide all the leadership and inspiration we want, but without an easy to use system, many will never engage. It’s too overwhelming. We can provide all the pro-d and model openness, but without a safe place to practice it, many will never be willing to try. It causes me to reflect on the dis-ease some are having with this MOOC, this large, somewhat wallowing rhizome and on the advice you gave in a recent video about how to approach a MOOC. The key phrase for me is “structured in the work,” which I take to mean that if we wish to learn, then we must map ourselves to the rhizome, map ourselves to the book, song, or web session. We must ingest the rhizome and be ingested in turn. However, this mapping is not a higher-order thinking skill that we usually bring to education, and therein lies the dis-ease of many with the MOOC (Many the MOOC? Sorry, that was an asignifying rupture). We all have our traditional critical thinking skills with which to open, interpret, and analyze whatever canned slice of life our professor brings to us, and these tools work quite well with carefully circumscribed topics with clear definitions and delineated objectives: sidelines, signposts, and goal lines. Mapping oneself to a MOOC (a rhizome) is a different higher order thinking skill altogether, and I think we’re making it up as we engage. You, for instance, suggested that we cluster, and I like that, so I tried it. It’s really beautiful to see how I (or anyone else) can grab one small comment from one PLENK2010 post, digest it, and all of a sudden (really. like magic) various tonal patterns emerge from the white noise of the MOOC. All of a sudden, a rich conversation in-forms, and I start making sense of the MOOC as it makes sense of me. What do I call that kind of thinking skill? Mapping? Clustering? Works for me. I’ll have to think on this some more, but thanks for the complex and engaging conversation and for the chance to sharpen my rhizomatic thinking skills. Are you seriously suggesting that learning isn’t something “a person” does? I totally understand that “a person” is socially situated, uses language (which by definition needs to be social) and learns with/from other people and artefacts that are part of a larger social context. But none of that means that learning isn’t something that “happens to the person.” I am NOT saying that knowledge and learning can’t also reside in organizations, in networks, in devices, but that doesn’t mean “people” don’t learn too, as individuals. To show this is so, it is simple to state the opposite – “Scott has never learned to swim” where swimming is a commonplace ability, understood as the “phenomenon of staing afloat in water and not drowning,” and something that is regularly taught and learned. I really want to understand what you are trying to get at, and maybe I just need more coffee this morning. But I find language like this, tending to hyperbole, does not help clarify the points trying to be made. This is easy to show to not be true in many of the cases where you have argued we should still consider an activity (reading texts by dead white males) to be “social.” Plato doesn’t give a damn about what I have to say about what he wrote, and I can read Plato and form opinions “on my own.” I’m not saying I do this outside of language or society, but duh. The funny thing is I agree with a lot of what both you and Keith are saying; I am pro-empiricism but anti-reductionist; I do think things are all connected, I want to see people emancipated. But we regularly (for good reason) use phrases like “She learned x,” and my issue is that in defence of an incredibly over-subtle point you both end up making exaggerated statements that are clearly and commonsensically not tenable. @Keith – thanks for your clarifications… you always seem to make my work sound better than it did before you comment. much appreciated. @Scott hello there. I’m not saying that people don’t learn. I’m saying that whether you are reading a book, or talking to me, or reading a blog post, you are still working with people. Learning stuff on your own in a library is still a social interaction. Remembering what someone told you and practicing it over and over again, is still social. I’m not advocating an oligarchy of the autodidacts. That’s what i consider the ‘dangerous’ reading. The ‘we’ there is meant to signal the individual ‘person’, who is then connecting and further testing their OWN connections inside the complexity. Hyperbole requires intent. I did not intend it. This is the way I’ve always blogged, and I appreciate your feedback i the ways in which what I wrote can be misinterpreted. Sorry to drive you nuts… but my writing does seem to do that to people. Dave, ok, I was probably overreacting, but it is amazing what a little word like “just” or “only” does to change the meaning of a sentence. I am not pushing a “solitary” learner agenda and I understand that language and culture are “social” in the sense of requiring more than one person (though I do think your statements about reading a book being a “social” activity tortures that phrase unnecessarily.) I definitely resist totalizing learning as always social though; not only is it possible to learn in ways that aren’t social (ask someone who’s been tossed into a pool but didn’t drown and went on to learn to swim, “on their own”) this point you seem intent on making, that the phrase “PLE” is dangerously over-emphasizing the solitary learner seems a straw man to me, at least I haven’t seen people using it to mean that and indeed the opposite always seemed implied to me. Lots of good stuff to read here. I think I’m in the definition 2 camp and I don’t see why you would make a distinction for courses early in a program vs later ones. I’d argue all learners need to be parts of the community. Awhile back we posted a thought about a “hub and spoke” model, where the institution might operate a hub for a course that the student would “dock” a PLE to for the academic term. There might be some identity management issues with the institution addressed by this docking. There might be some institutional business (like grades). And there might be some quick community building and navigational aids that the hub would provide (perhaps even a feedbook). But the learner owns the PLE and keeps the power relationship clear. Scott, I disagree with your characterization of this discussion as “hand waving” and “loose writing,” though in the case of my own contributions, I can already see places where I could have been tighter in my prose, but then, that’s always the case. While the writing might be a bit fuzzy, the ideas are not. We are talking about complexity, not as some New Age mumbo-jumbo or even some effete scholarship, but as a hard-nosed, carefully crafted, and meticulously researched concept of how the universe works, even how education works. I’ll offer what explanation I have of complexity, and I acknowledge up front that I am borrowing heavily from Edgar Morin’s wonderful little book On Complexity (2008). Also, I appreciate the chance this conversation is giving me again to clarify and develop my own thinking, or to paraphrase my loose writing: to shape and reshape each other, to map myself to the rhizome as it maps to me. Morin says that, as a hard-headed scientific concept distinct from its commonsense meaning, complexity emerged in the twentieth century from micro-physics (quantum theory) and macro-physics (relativity). Micro-physics “opened up not only onto a complex relationship between observer and observed but also onto the more complex notion, the destabilizing notion, that elementary particles appear … as a wave, but also as a particle” (19). At the other end of the Universe, macro-physics “made observation dependent on the position of the observer and complexified the relations between time and space, until then considered transcendent and independent essences” (19,20). Unfortunately, or perhaps in self-defense, all the other sciences (chemistry, biology, sociology, psychology, education, etc) pushed these undeniable complexities either to the too small to think about (quantum) or to the too large to think about (relativity), and in general, they continued to behave as if the universe here in the middle was the comfortably predictable and manageable deterministic place 200 years of Western science had convinced them it was. They continued to believe that a thing was either this or that, but NOT that a thing is both wave and particle. They believed that we could all see the same evidence regardless of our position or velocity relative to the evidence, and after 100 years of Einstein, relativity and relativism still get bad raps in the public press, certainly in the pulpits. However, Morin goes on to say, cybernetics, especially the work of Wiener, Ashby, and von Neumann, introduced complexity into this middle reality (you really should read his book for a better explanation). Complexity burst into Middle Earth like Jedis in the wrong movie, and things haven’t been stable since. We now have apparently sober physicists discussing multi-dimensional realities and parallell universes, perhaps an infinite number of them, and describing them with great mathematical precision. Meteorologists say that a butterfly in Africa can cause hurricanes in Louisiana. Their talk may one day prove wrong, but it isn’t loose. It’s based on a scientific notion of complexity: the effect of large numbers of “units and interactions that defy our possibilities of calculation” and that embody “uncertainty, indetermination, and random phenomena” (20). I think Dave and I were addressing this notion of complexity and the reductionism that tries to undo complexity: first when he complained that the phrase personal learning environment reduces a complex system to the merely personal, and then when I countered that he is correct in protesting this kind of reductionism, but that the phrase might be read in a different sense that honors both individual person and network. We were both saying the same thing: that learning cannot be reduced to either discrete individual or to holistic network. We are both abandoning the language of either/or for the language of and/and/and. Part of the problem is that we have a very robust either/or language, especially in our middle sciences, but unlike micro and macro-physics, we do not have a robust and/and/and language. 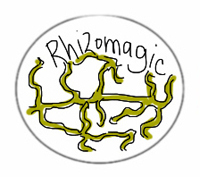 I think that part of the reason for the MOOCs that Dave, George, Stephen, and Rita have been doing is to help us develop this language of rhizomatic complexity. So perhaps our language in this discussion has been too loose, but the concept we were approaching, complexity, is not loose. It is well-grounded and reliable, though in a complex sort of way. 🙂 Consider complexity carefully and well. I think it has a fair chance of being one of the intellectual pillars of human thought for the rest of this century. Keith, I agree with what you have written above (as I tried to acknowledge in my earlier post) and was simply frustrated by the actual phrases both you and Dave used, which were in both cases totalizing and demonstrably not always true. All I was looking for was a simple acknowledgment that, yes, it is possible to learn “on one’s own” on occasion (and that the use of the term “social” by Dave to characterize reading a book is a bit torturous, in my mind). And that, unlike what you wrote, it is entirely possible for the environment *not* to learn from the individual, nor the individual from the environment. In countering reductionism, we often go too far in the other direction, in ways that I find both sloppy and unhelpful. Perhaps this seems like I’m being harsh, especially since the position you and Dave (and indeed, myself, most of the time) espouse is not the dominant (reductionst) paradigm. I maintain that if we want to engage with the bast majority of folks who still approach things from this binary/reductionist position, we need to do so in a way that doesn’t undermine this new perspective by being unduly loose, nor in a way that does not respect people’s everyday perception of the world. Quantum Theory and Newtonian Physics have not, as far as I know, been reconciled, and people still build bridges quite fine using the later. Thanks for the timely reply, Scott. I’ll write more on my blog, Communications and Society. I got to spend a bit more time with this post and some of it’s links. I think the disaggreagate power concept is important, I’m sorry it seems to risk of being lost in the ‘can a person learn on their own’ debate. Certainly Scot is right, there are some things I can learn individually, and that learning resides uniquely in me. Some of these things may even be profoundly important. However, the kind of learning I think you are pointing at is learning in the context of authentic, rich problems. The kind of learning that may be part of the discipline of joining a community of practice. Some of this learning might take place in the individual, or be accomplished alone, but there is an important and essential part that is the group’s work. I think of Seely Brown and the copier repairmen all wearing 2-way radios. I’m in your PLE definition 2, and our work in WSU’s Office of Assessment and Innovation is increasingly encouraging student assembled tools as PLE — the mantra is, work where your community works, with the tools they use. The stance does present some challenges for the institution, which Gary Brown recognized when he coined the Harvesting Gradebook idea. As we’ve worked with that idea I think I’ve come to understand that it still harbored an institutional power idea. Today I think the core idea might be more like ‘peer review the web.’ I look at the iPhone app Leaf Trombone for inspiration. Leaf Trombone is more like a broker for a community, helping players and reviewers connect and managing some of the logistics of their community. Recently I had a chance to talk to folks at Peer to Peer University about our harvesting/peer-review concepts and hope to offer a course there coupled with a Mozilla Drumbeat project to work on the idea more. Also, if you want to have a side discussion about your conversations on campus about the professional merits of blogging, I have a few thoughts to share. It’s funny how a few words out of place (if even they were) can turn a conversation down other paths… I think the other paths are interesting, but you are right, your read here is more what i had in mind. In the course I had this summer i decided to eschew any corporate sponsored organizing of student data and said “hey… I can only grade what you give me, but I want your work to be in context” and the students responded with more work than I have ever received from any group of students. Could easily be a coincidence… but more and more my work is leading towards looser and looser ecologies. Dave, if I focused in on that one thing, it’s because the rest seemed pretty uncontentious to me. That PLEs are about personal agency but not solitary learning seems to me well understood.